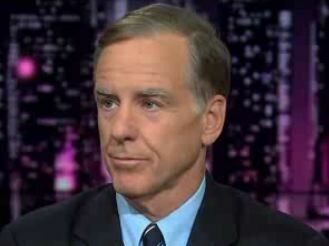 Howard Dean: Going Off Fiscal Cliff The "Best Deal Progressive Democrats Are Going To Get"
HOWARD DEAN: I make the argument that going off the -- as you call it the curb, I call it the slope, the press calls it the cliff, is actually the best deal progressive Democrats are going to get. And here's why. One, we get the Clinton tax rates on everybody. Will it cause a problem? Yes. There will be a short recession, and it will be painful. But two, we get defense cuts. Republicans are never going to agree to that. And three, there are some human services cuts, which we're not going to like. But it's the least possible damage. Now what do we get in exchange? A serious down payment of the deficit. The Wall Street people, who wringing their hands of this, are really full of it because what they're going to see is a big drop on Wall Street while all the hype comes and then it's going to be roaring back because finally somebody has done something serious about the deficit. So, I think the fiscal curb, as you call it, is the best deal that progressive Democrats are going to get. And I think it's the best deal in the long run, not the short run. Krauthammer: If Clinton Tax Rates Were "Economic Paradise," Why Don't We Return To Them Across The Board? Krauthammer Ribs Bill Kristol, Says He's "Turning Into A Socialist"